As more and more high-rise apartment blocks are erected, the gulf between new buildings and legacy structures has become increasingly marked. While heritage buildings require the protection of conservation their existence is by no means static: they make up a crucial part of the character of the modern city of Sydney. We live and work in them, we pass them on the street every day. Our lives are shaped by them. Heritage defines where we have come from but it is also part of where we are going. 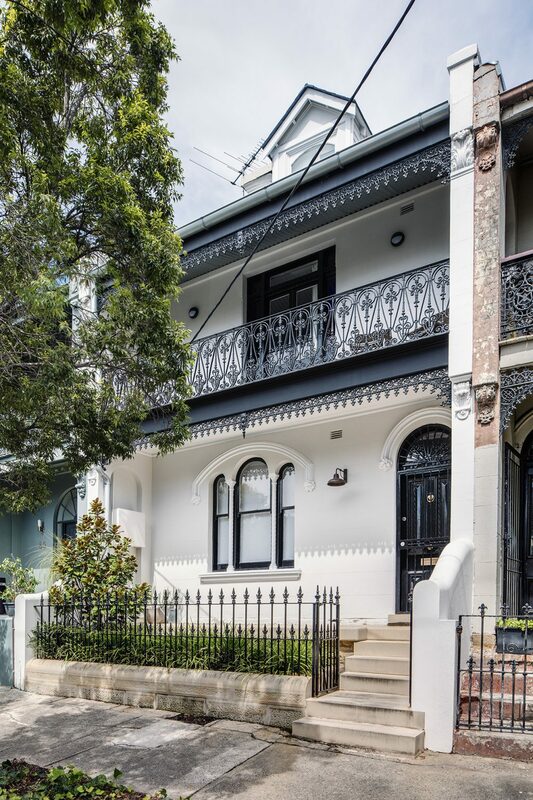 One of the most common forms of residential dwelling in inner Sydney is the beloved and iconic nineteenth century terrace house. These houses have been a part of the landscape of Sydney since the 1830s. They come in many shapes and sizes: everything from single storey to four storeys, from brick to native sandstone. Though British in style, Sydney’s terraces were influenced by environmental factors: Sydney is a coastal city with significant undulations and terraces were often built staggered in order to accommodate this topographical feature. 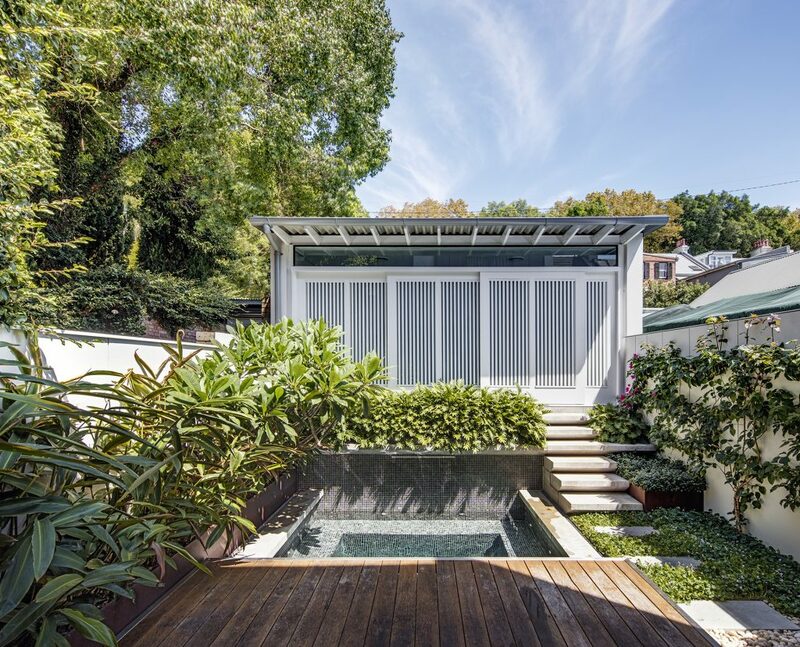 Almost all have cantilevered verandas, making private outdoor areas possible in the dense inner-city environment where there has always been precious little space. Working with such houses presents significant challenges. Many do not have the quantity of light desirable due to the fact that a great number have two or more storeys and share at least one wall with neighbouring dwellings and when it comes to the outside there is little that can be done to the front facings due to the conservation requirements regarding façades. In the right hands, constraints present opportunities. 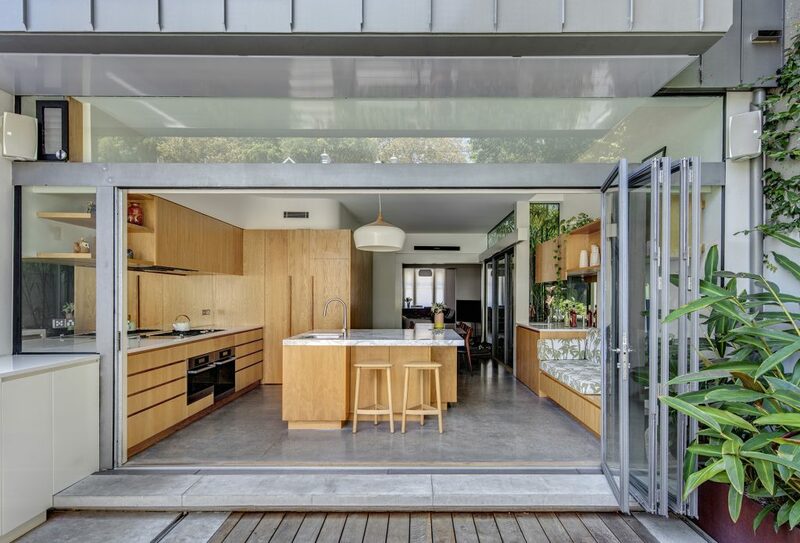 One underutilised aspect of many Sydney terraces is the backyard: a feature which is often poorly integrated with the rest of the property. 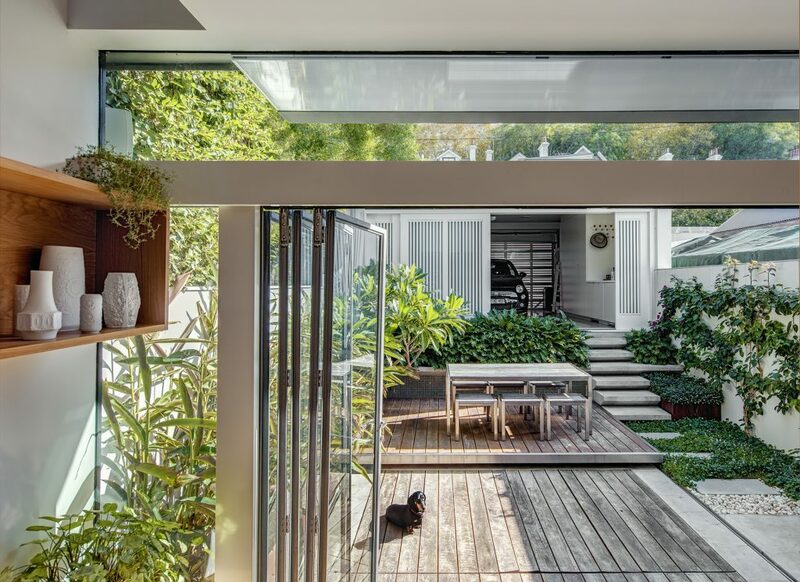 These outdoor areas frequently present “dead space”—living areas which are rarely used and seen as additional to the other living rooms of the house. This is unfortunate because when utilized effectively these spaces allow all sorts of problems to be overcome. 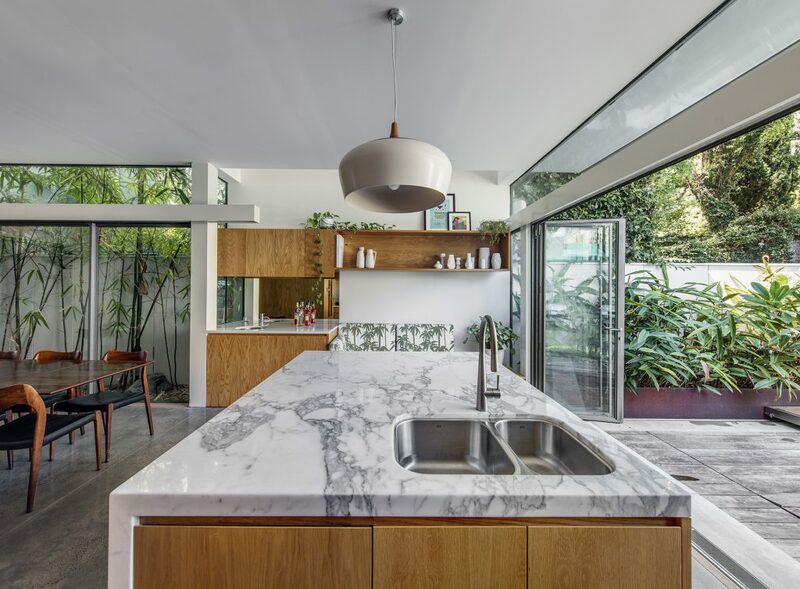 Blurring the lines between indoors and outdoors can help solve common problems of limited space and light. Opening up the space between the living room and the backyard helps create a larger, more functional living space. We employed this design philosophy on a project for a client in Paddington. This resulted in a larger living area that better makes use of the space of the property. 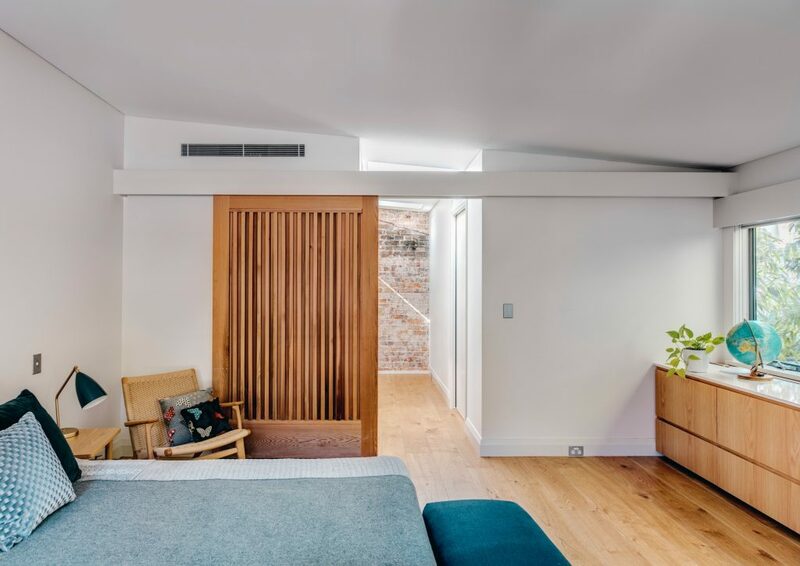 Flow is a common consideration in architectural planning, however, it is particularly important in inner-city residential properties, where walls are often taken out to increase the living space so that 19th century buildings can be updated according to the expectations of modern living standards. Incorporating the outdoor areas, whether they be light wells, side gardens or backyards is a non-negotiable if the footprint of the property is to be fully utilized. Rethinking the dichotomy of inside/outside helps to create more open spaces with a greater capacity for light and better use of the space available. Contact us today to speak about your terrace renovation.